Ignatius Patrick David, one of the thieving police officers on duty at a passenger transit checkpoint of the Hosea Kutako International Airport that was caught red handed while stealing cash from the bag of a passenger on her way to board an aircraft to Europe was arrested. David and his colleague, a warrant officer, were also brought up on disciplinary charges by the Namibian Police. The criminal charge against David stems from the theft from the tourist’s handbag that was filmed on closed circuit television cameras. According to Deputy Commissioner Edwin Kanguatjivi, Commander of the Namibian Police’s Public Relations Division, David is set to appear in the Katutura Magistrate’s Court on Monday on charges relating to the theft. Deputy Commissioner Kanguatjivi said an investigation into the matter revealed that the police officer stole 800 Euros or N$12 720 from the passenger. 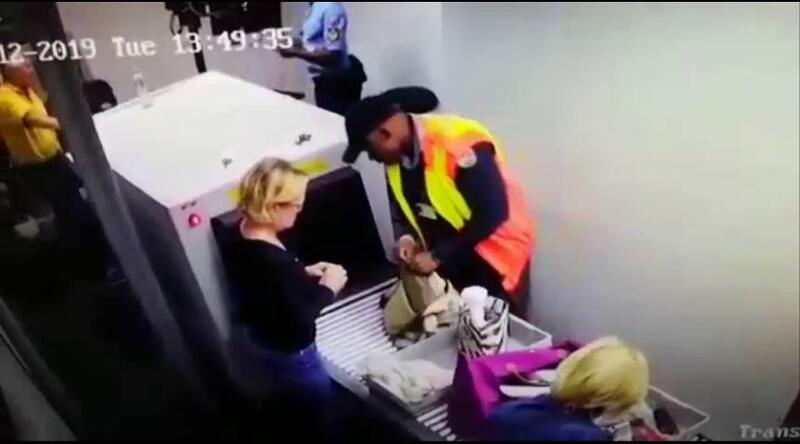 Deputy Kanguatjivie added that neither of the officers were allowed to look inside the female passenger’s baggage. 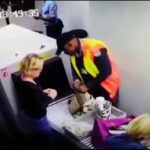 If they did notice suspicious item in the passenger’s bag during the scanning process, the standard operating procedure would be for the men to call a female officer to do the physical searching. He said it would be very difficult to link the second officer to the actual theft and therefore he was not charged criminally. According to Deputy Commissioner Kanguatjivi both the officers face disciplinary charges because they transgressed internal policies regulating police actions.